Eventually if we live in this world long enough we will experience hurt and disappointment. The hurts we experience in life can create unhealthy patterns and wrong ways of thinking that influences the way we act. In turn we could end up hurting others, push people away or cause unhealthy co-dependent relationships. Romans 12:2 says, "Do not conform to the pattern of this world, but be transformed by the renewing of your mind. 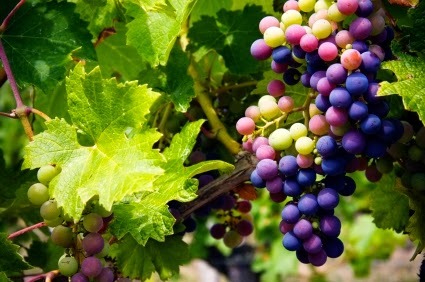 Then you will be able to test and approve what God’s will is—his good, pleasing and perfect will." These unhealthy patterns in our life are called strongholds. They need to be pulled up by the root and replaced with truth. So, the question is, how does this happen and how do we do this? It really isn't about anything we do as it is about surrendering to the work that God wants to do in us. As we meditate on God, bask in his presence, and encounter him, we learn to lean back and rest in his perfect love for us. Hebrews 12:29 describes God as an all consuming fire. 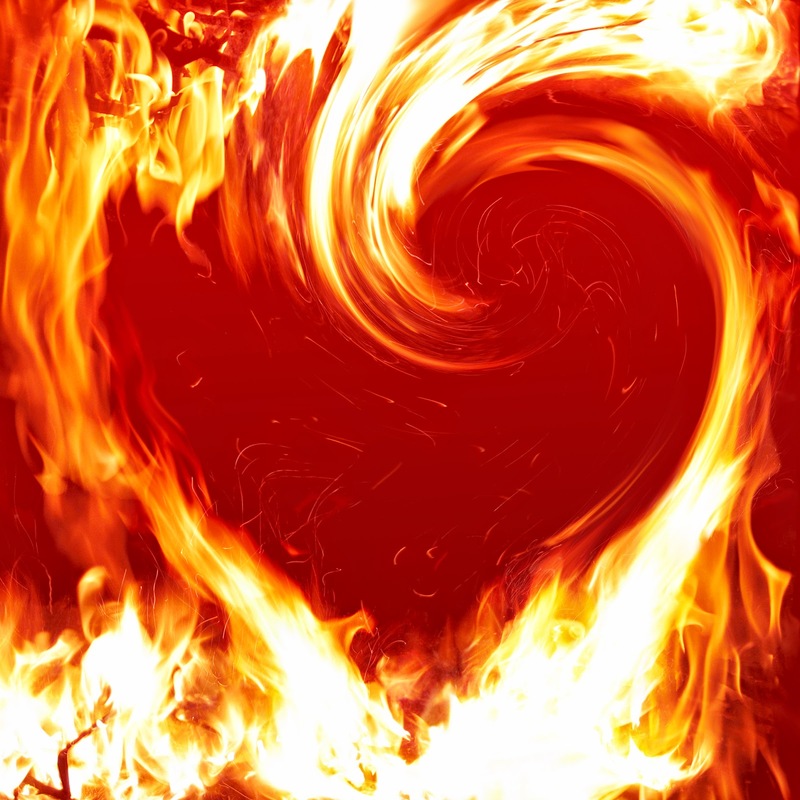 As we encounter the fire of his love, just like gold when refined in the fire, the dross or impurities in our heart are brought to the surface and need to be skimmed off. This can be an uncomfortable process and there can be a temptation to run in the other direction. However, if we will surrender and cooperate with the hand of God, we will be transformed from glory to glory (2 Corinthians 3:18). When hurtful memories from my past come to the surface, I first reflect on whether I have any unforgiveness toward the person who hurt me and whether I need to forgive them. Sometimes this is hard to figure out so I think about how I would feel if I saw them in person. I then think about what I would want to do to that person and what I think they deserve for their actions. I then picture Jesus on the cross, taking on that punishment I think that person deserves. This usually makes me feel pretty sad to think about and makes it easier for me to forgive that person. I then repent for having ill feelings toward the person. I know I have been able to forgive that person when I can then think of them and feel no animosity and even joy at the thought of being in their presence. Once that stronghold is uprooted through forgiveness it then needs to be replaced with truth otherwise there will still be a vulnerable hole. What I do is try to picture Jesus in that memory and ask him to show me what he was doing or saying in the situation. I personally like when the Lord brings things into the light in my own life. First of all it means God has his eyes on me and second I get excited because I know that as I allow the Holy Spirit to do a work in me, I will be able to draw closer to him and will better be able to love other people. When I was a kid, I got asked the same question many kids get, "What are you going to be when you grow up?" However, I never knew how to answer that question. Finally one day when I was 11 or 12 I was watching a documentary about a missionary. It was like a light bulb went on in my head and I realized that was what I wanted to be when I grew up. I was so excited and ran to tell my mom. When I told her, she said, "No you don't! They get killed!" I walked away from her feeling crushed and really discouraged, dismissing that dream. The way this experience created a stronghold in my life and set up an unhealthy pattern is by causing me to value the opinions of others over my own even if they were not true. I also would have the tendency to base my actions on the opinions of other instead of my own, especially those closest to me. If those closest to me would disagree with a dream and a desire I had then I would dismiss it and let go of it, figuring it wasn't from the Lord after all. Once I realized this, I invited the Lord into that memory and asked him to show me the truth. I then saw him kneel down to my level, hold my hands and tell me he was proud of me that I was in tuned to him and listening and he did have plans to use me. Another example had to do with an authority figure. I have had a tendency to be intimidated by authority figures and fearful of being misunderstood by them. The Lord showed me a memory that helped cause this. It had to do with a meeting I had with a priest to help me deal with a certain crisis in my life. Instead he misunderstood and rebuked me. I thought about how I would feel if I saw him and realized I would probably want to give him a dirty look. I then thought about Jesus on the cross and taking on that dirty look. This made me sad and I was able to forgive that priest. I was also able to see that when this crisis was resolved soon after, it was sovereignly by the hand of God. This process has helped me step into greater freedom and joy. That is ultimately what the Lord wants for his people. "It is for freedom that Christ has set us free." - Galatians 5:1. Jesus desires for us to have life and have it abundantly (John 10:10)! It is the interior freedom that comes from the process of allowing Christ to do a work in us that gives us this life full of joy! Last week I was watching a documentary put on by the Imagine Sisters giving us a glimpse into the lives of several religious sisters from different orders. One of the sisters talked about working in a thrift store. While there she would ask customers if there was anything she could pray about for them. One woman she encountered and asked this question to said no because she was an athiest. This caused great sadness with the sister. She realized that if the woman didn't believe in God then the woman had no hope. She then heard God's still small voice telling her to meet the woman where she was at. The sister remembered that when the woman first came into the thrift store she saw a bird house she really liked but didn't have enough money for it. The sister then went over to the bird house and gave it to the woman as a gesture of God's love for her. How often does God meet us where we are at too?! He could Lord his authority over us, reveal his glory and demand submission but he doesn't. He knows all our flaws and imperfections and ways we are not able to receive his love but he is so patient and only brings things up when he knows we are ready. He remains hidden until our hearts are open to receive. Maybe the reason Jesus hides himself under the appearance of bread and wine in the Eucharist is so more people will receive him. If our eyes were truly open to the reality of the magnitude of his presence in the Eucharist, would we run in the other direction and proclaim that we are not worthy or would we still be able to humbly receive his love in that way and be willing to approach his throne of grace? This way he is able to work his grace in hidden and mysterious ways. The Lord also often hides us, his people. There are some reading this that may feel unnoticed and almost hidden to the world. There are things you desire to do but almost feel invisible at times. That is because you are like a lucky penny that someone finds on the street and puts in their pocket but went unnoticed by many other people before. 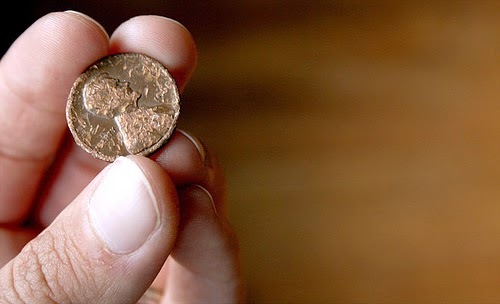 Like the person that notices a lucky penny, the Lord notices you and hides you in the palm of his hand. He desires to do a work in you and transform you into his image. He reveals himself to you in secret and desires you to grow in intimacy with him.. You may feel hidden and ordinary to the world but the Lord calls you his beloved. The only thing you are required to do during this process is surrender and receive his love. Often times we can grow impatient and question why it is taking him so long and why is he doing it this way?! But who are you, a human being, to talk back to God? "Shall what is formed say to the one who formed it, 'Why did you make me like this?'" - Romans 9:20. Let's not forget that he came to us as a little baby and remained hidden for 30 years. He does not have a problem with hiddenness if it will help us and bring God more glory in the end. So, let us surrender to the process, be content with hiddenness and at the proper time, the Lord will pull us out and display his glory through us. I believe God's greatest plan for us is to perfect us in love. We are called to love God and love others with Christlike sacrifice and abandon. In order to get to this place we need to be able to abide in God's love (John 15:1-9). The way we abide in God's love is through contemplation which should be the ultimate goal of all prayer. Contemplation is a state of beholding God and union with him. Through contemplation we encounter God. It is ultimately a gift but we can place ourselves in a state that is best able to receive this gift and then it is ultimately a work that God does in us as we surrender to him more completely. As we behold Christ frequently we come to know just how dependent we are on him. We recognize our spiritual poverty. Like St. Catherine of Sienna's revelation, we become aware that we are the ones who are not and God is the one who is. As we surrender to this knowledge, he strips away the layers that keep us at arms length from him. He often uses circumstances in our life to open our eyes to our own weakness and dependence on him. It should be our goal to walk in a state of contemplative prayer, leaning back in Christ in everything we do; learning to live and move and have our being in Christ (Acts 17:28), making the prayer of St. Patrick a reality. Christ with me, Christ before me, Christ behind me, Christ in me, Christ beneath me, Christ above me, Christ on my right, Christ on my left, Christ when I lie down, Christ when I sit, Christ when I stand, Christ in the heart of everyone who thinks of me, Christ in the mouth of everyone who speaks of me, Christ in every eye that sees me, Christ in every ear that hears me. How do we know when we have come to this place? We will know when even in the midst of the storms of life, we have a peace and calm in our soul, trusting in God with our whole being in reckless abandon. We may even think we have arrived at this place; after all we have overcome some incredible obstacles, keeping our eyes fixed on Christ, surrendering and trusting in him through the hardships in life. Then it seems the ante is raised, our faith is shaken or the circumstances in our life once again causes us to be distracted. Where it was becoming easy to lean back in Christ, contemplating on him all day long, making our life a prayer, suddenly a distraction is thrown into the mix and we come to an even deeper understanding of our reliance on him and that we can do nothing apart from him. Once again we are called to surrender, trust, and lean back in Christ, letting him more fully take the reins.